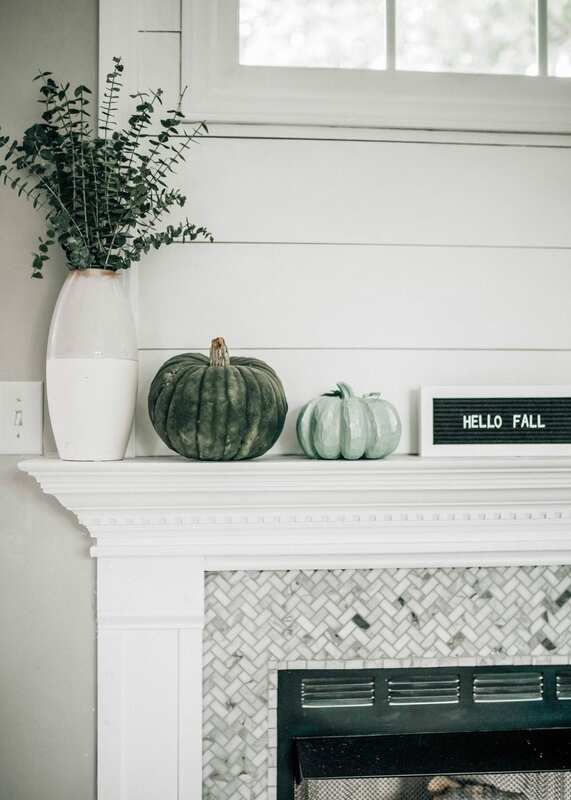 Last winter, TJ and I gave our fireplace a complete makeover and it got me so excited to decorate the mantle for each season, especially for fall and winter. 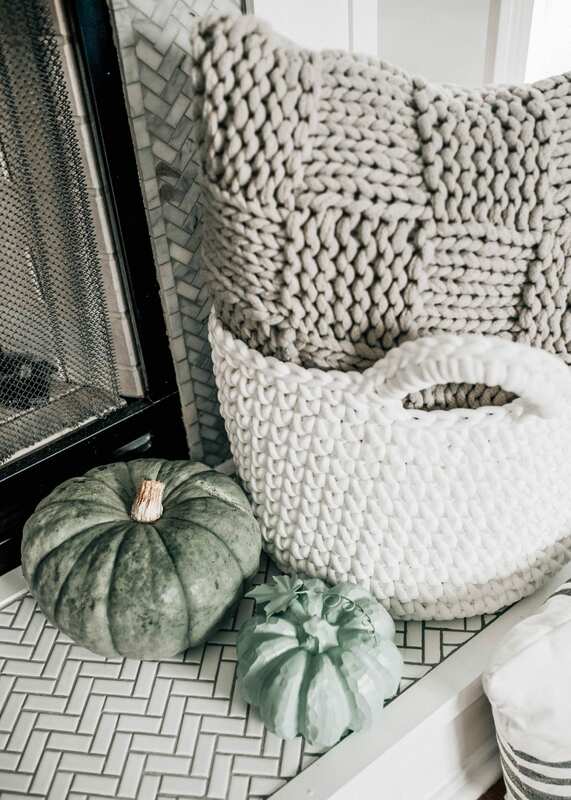 There is nothing like the start of fall to get me in the spirit of decorating and, this year, I’ve decided to stick to a very muted, neutral fall theme throughout the house…. well, minus our Halloween porch (to come). TJ has been talking about decorating our house for Halloween since we bought it last December so we’ve accumulated quite the collection of random skeletons from various trips to Home Centric lately. We actually decorated most of our fireplace this year using all items from Home Centric, a home store located in Crossroads Plaza in Cary. The prices are incredible but the selection is even better, in my opinion. 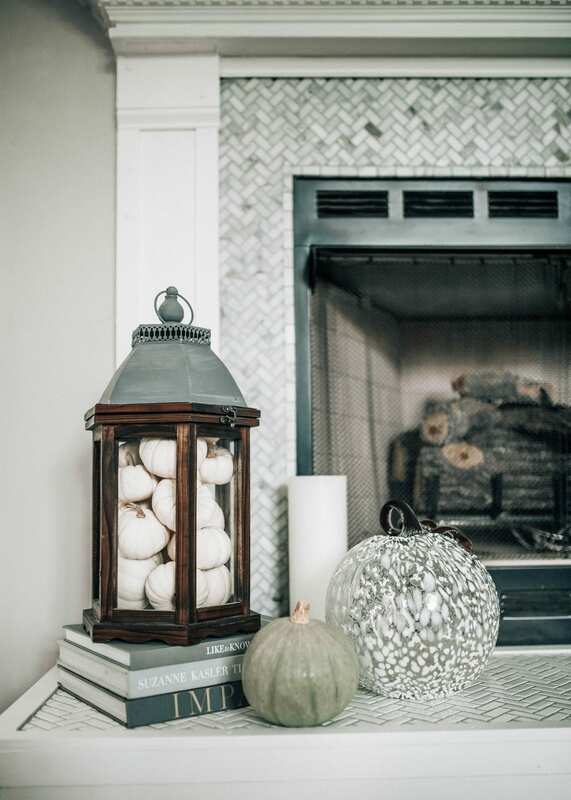 When decorating the perfect fall mantle, there are a few key ingredients…. I went with both this time around and I’m so glad I did. 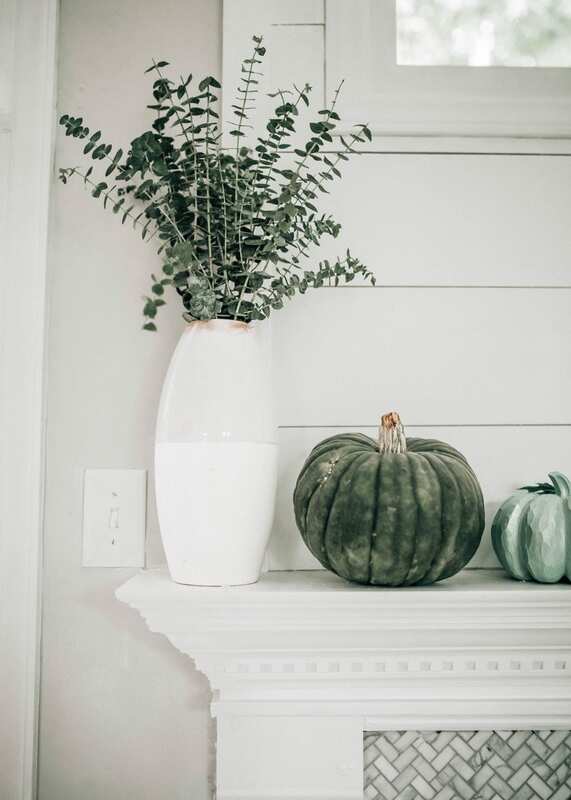 Aside from the beautiful dark green and white pumpkins we picked up at a local farm, I found these little blue pumpkins in the fall section of Home Centric and knew they would tie in the green/blue/white look I was going for. They were under $12 and I also couldn’t pass up the larger glass white patterned pumpkin either. They had so many pumpkins to choose from- straw, different fabrics, pumpkins with words, everything. 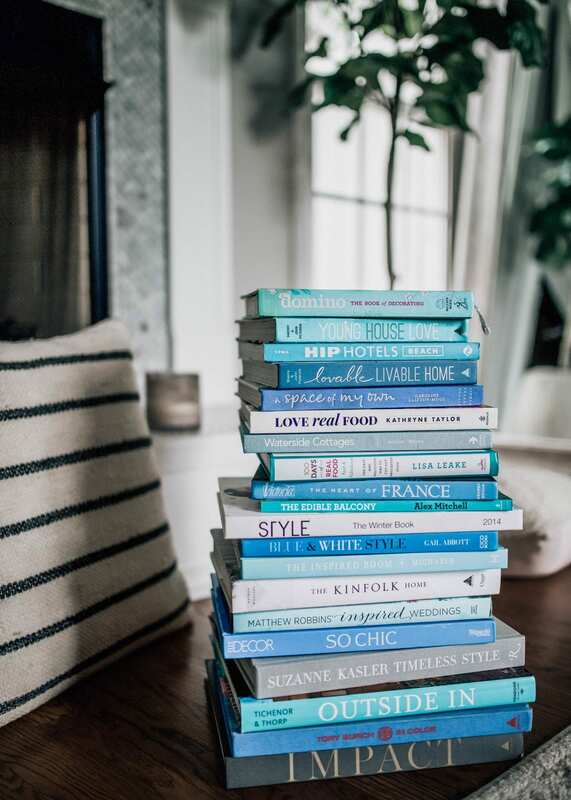 Whether you choose a orange/yellow theme, white, or blues/greens, you’re sure to find some really pretty and unique ones at Home Centric. 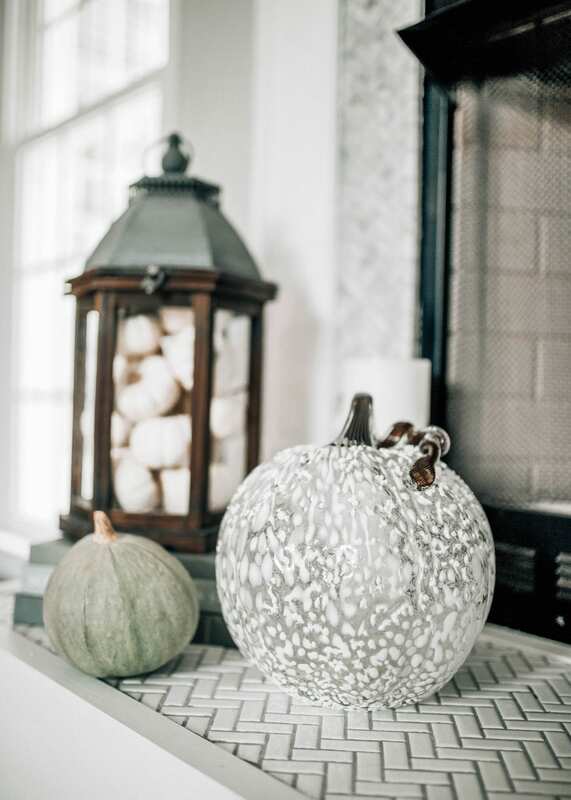 I love the organic feel of the real pumpkins mixed with the textures of the faux ones. 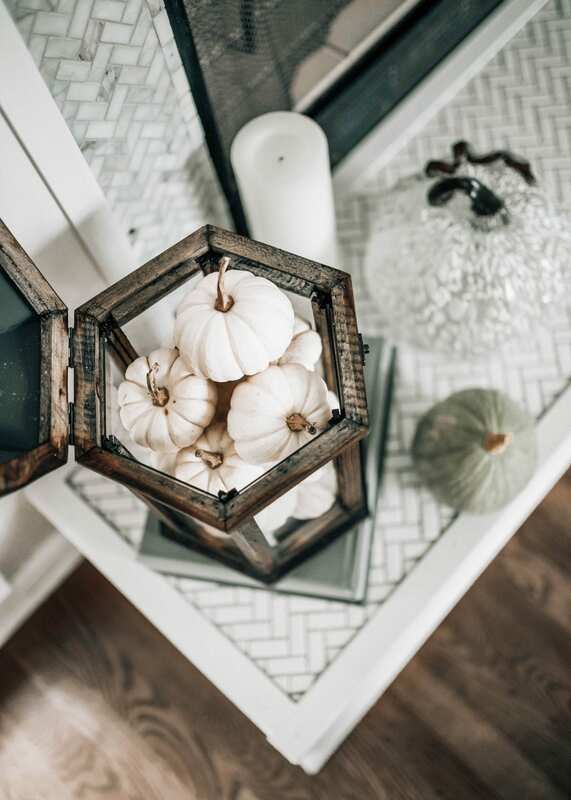 No matter what season it is, you can never ever go wrong with simple greenery when decorating a space. Eucalyptus is one of my favorites this time of year before we shift to pines for the holiday season. My personal pick is baby blue or silver dollar eucalyptus. I love how silver dollar eucalyptus looks when spread out across the entire mantle but the store only had the baby blue kind so I filled a neutral-colored vase (also found at Home Centric) and set it on the side. Another pretty option would have been a wreath! 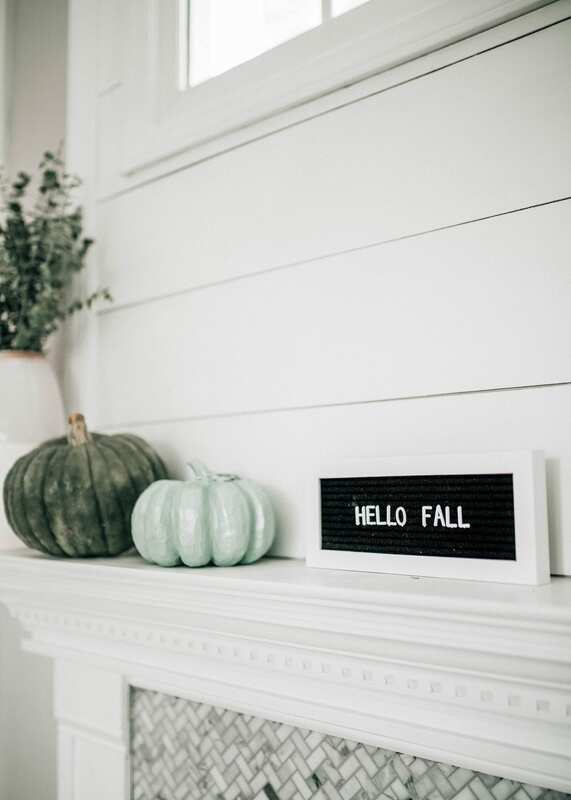 There are so many pretty and colorful fall inspired wreaths that would have been a perfection addition. 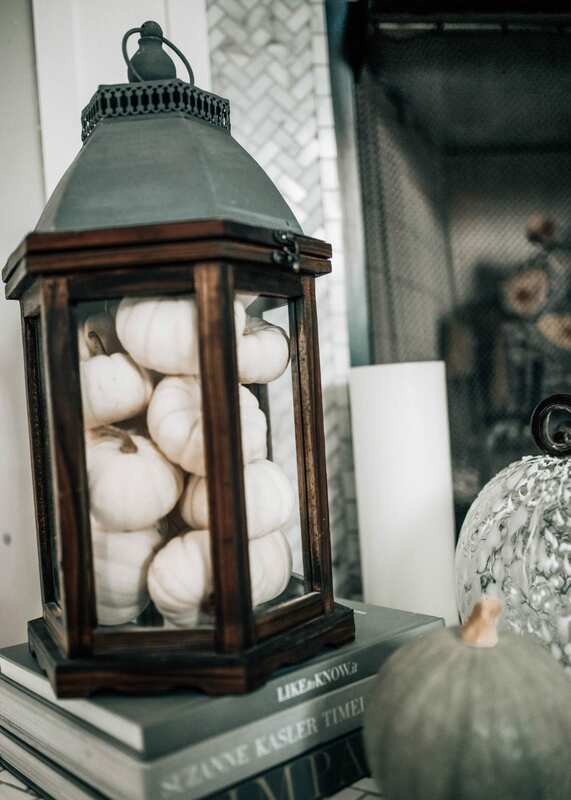 There were way too many lanterns to choose from so it was a tough decision but I love the semi-rustic feel of this wooden one and I love how it is the perfect size to stuff a bunch of mini white pumpkins in. I feel like I was conservative with my lantern size but I actually really love seeing gigantic lanterns on each side of fireplaces, which is also a good way to add height and dimension to the entire space. 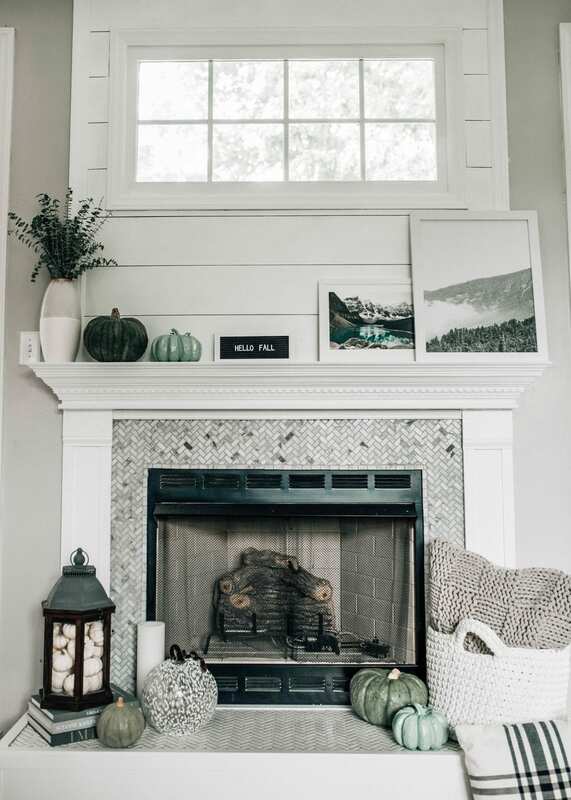 Even small lanterns on each side of the mantle would be gorgeous for a more symmetrical look. To add even more height, stack some big books underneath! I had a tiny little space to fill and this small letterboard was the perfect fit! I love how you can use these for birthdays, holidays, even just daily encouraging or funny phrases. Home Centric had some other sizes to choose from but this one was just perfect for the mantle since I knew I’d be keeping my regular sized frames for art. 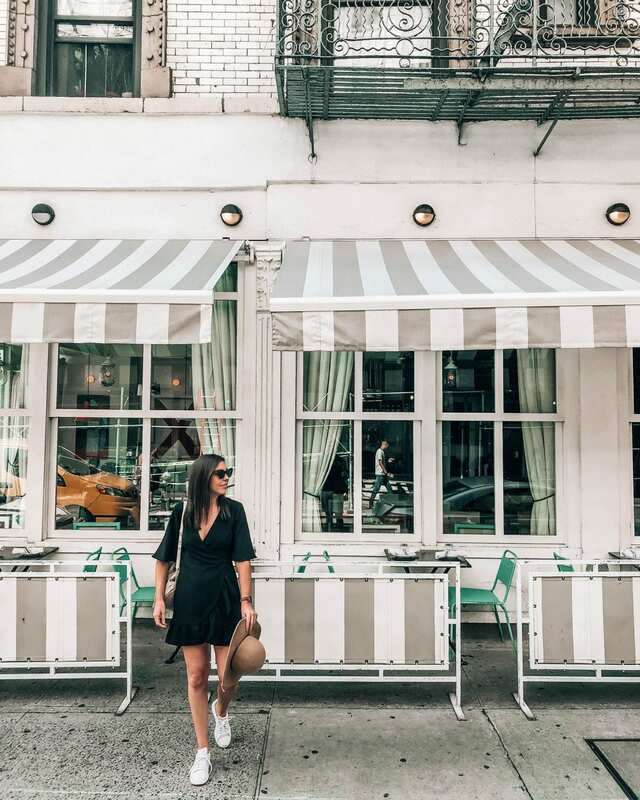 If you’re new to visiting my blog, I have to admit that I have a slight obsession with art and photography prints. I think it’s my favorite thing to decorate any space with and if I could be a professional gallery-wall designer, I think I would be. I stayed with a mountain theme for these and I love the cozy, fall feel it gives without being overly colorful or bright yet still adding color to the space. Other options of art I considered: greenery, stacks of wood, cabins, leaves, pumpkins. 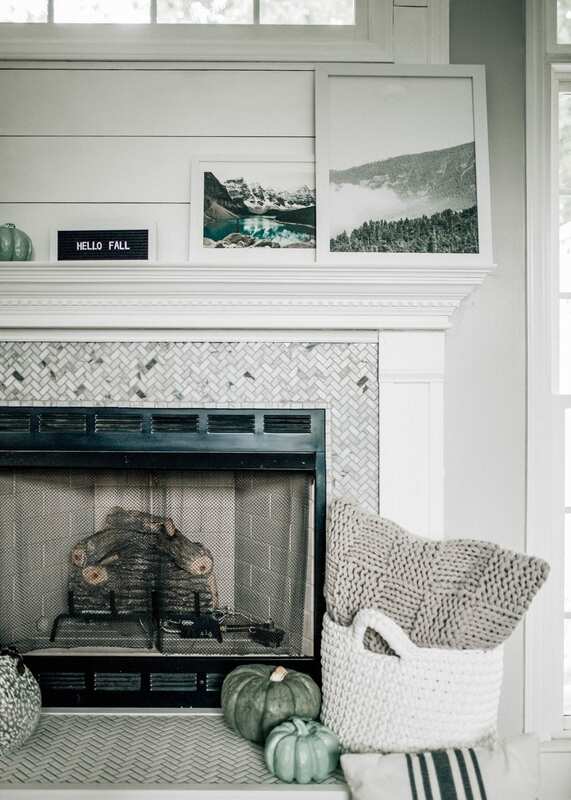 The complete the look, find a basket (Home Centric has an entire aisle dedicated to baskets) and put a cozy throw blanket or pillow in it to add some fabric texture for a warm and inviting touch. 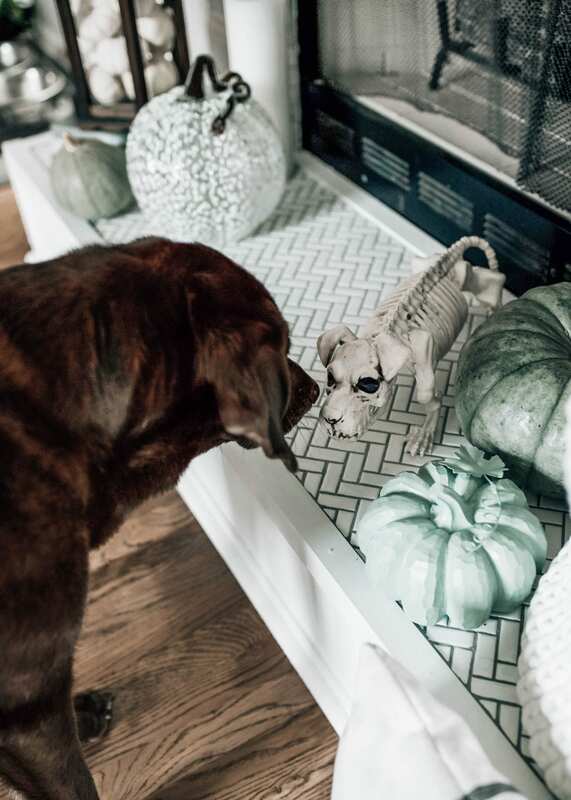 Bonus: Colbie wanted to add her skeleton brother to the list…. 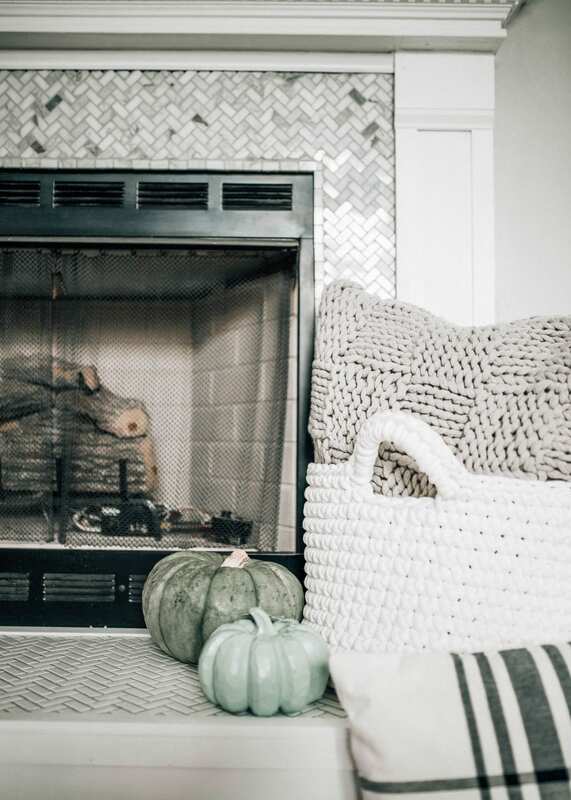 With these fall mantle essentials, you’re sure to end up with a warm & festive fireplace and mantle in no time while staying on a budget! If you’re local to the Raleigh area, definitely stop by Home Centric next time you’re near Crossroads.. It’s located right beside Total Wine and you’ll be blown away by the prices. 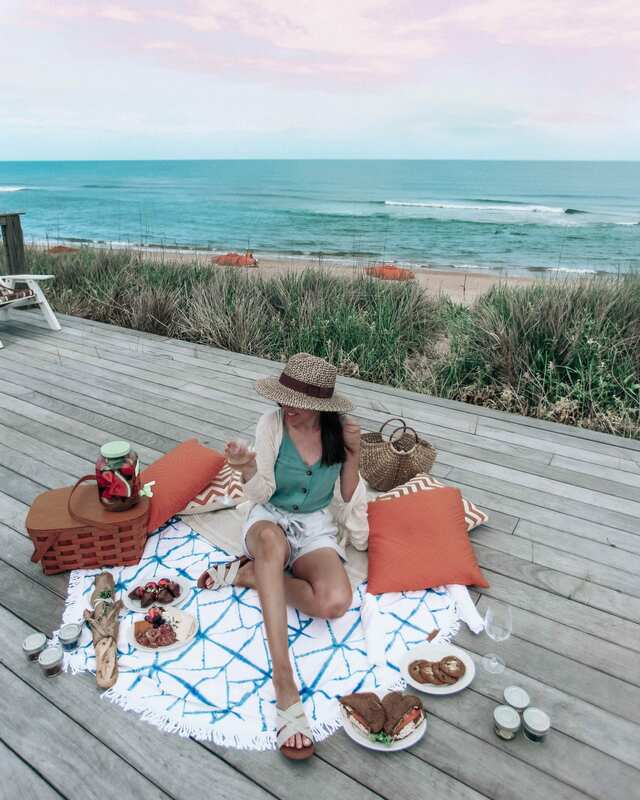 Thank you to Home Centric for sponsoring this post! 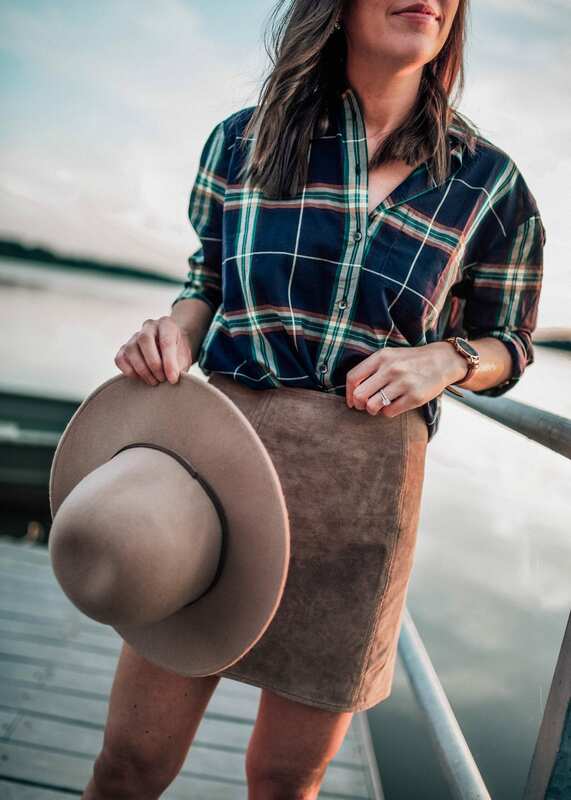 Follow them on Instagram, Facebook, and Pinterest for more home decor finds for less.